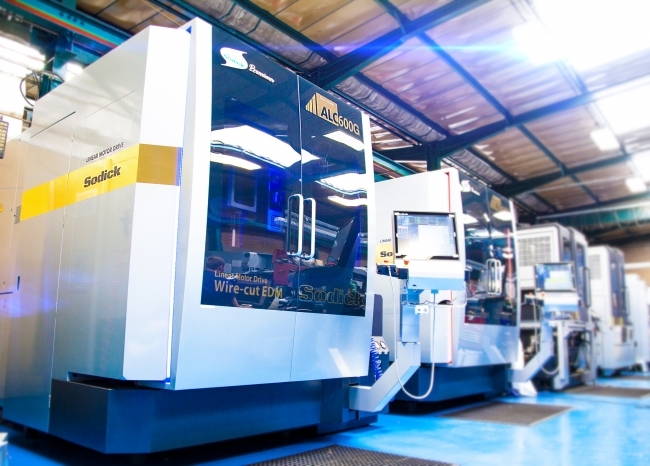 Award-winning precision engineering company A&M EDM has launched a new website to promote the company’s capabilities. A&M recently won the Black Country Chamber of Commerce award for Excellence in Manufacturing and Engineering for the second year running and had three representatives included in The Manufacturer Top 100 report 2017. 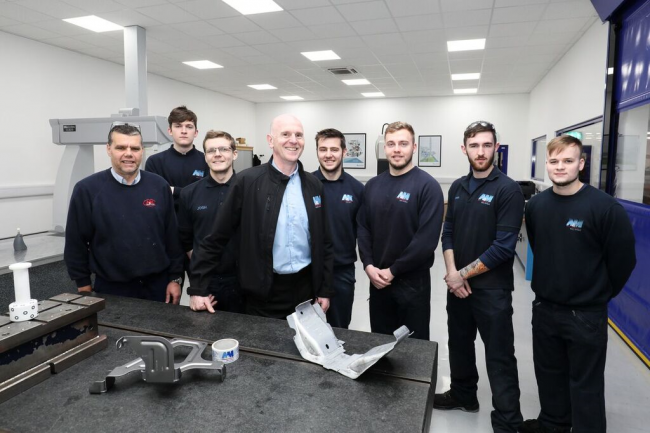 Based in Smethwick, A&M has grown over 15 years to sales of £5m with 58 employees currently, manufacturing precision components for aerospace, automotive, Formula 1 and production assembly customers. The company has invested in CNC machining to add to its capabilities as one of the UK’s leading EDM wire cutting and spark erosion specialists. The website includes a 60-second film, Inside A&M (see below) for customers to see what A&M mean by “pure precision.” Both were created by Omnisity. A&M’s design for manufacture approach applies conventional engineering knowledge to realise the full potential of 60 CNC machines and new techniques for machining diverse metals. This expertise enables them to deliver production run quality and improved speed for one-off components using machinery and tooling to its optimum potential. A major challenge is the generational skills shortage facing engineering. To tackle this A&M decided to develop its own apprentice programme to train future engineers. They carefully select apprentices based on aptitude and self-confidence. ADM then match these with mentors, using experienced staff, with the best ability to transfer knowledge. Within a month the apprentices are working on customer jobs under mentor supervision. In November 2016, two of their apprentices were shortlisted as finalists for the EEF Midlands apprentice of the year. The firm currently has six apprentices and two former apprentices now studying for HNC. Their strategy is to consistently reinvest profits in new equipment to develop engineering capabilities. Capital expenditure is funded from company profits and Regional Growth Fund grants. • 2015 – £500k metrology inspection unit to guarantee quality to our customers. • 2016 – development of a dedicated engine testing facility as part of our own R&D project to develop a small multi-fuel UAV engine, supported by a NATEP grant.